They say there is no such thing as bad publicity, and Bytown Sports And Entertainment, the company behind Ottawa’s new NBL franchise, is living proof. 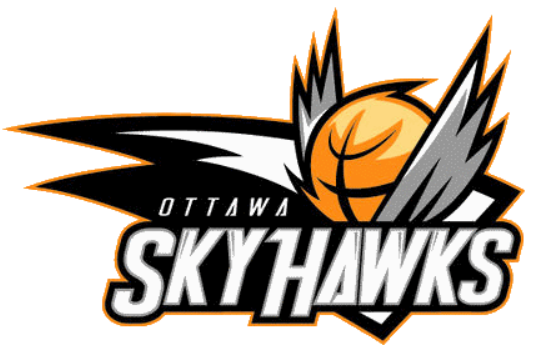 The company has just announced that the new basketbaskteball team will be called the Ottawa Skyhawks. The announcement comes just a few short weeks after the original name, the Tomahawks, was pulled the day after it was launched due to a social media backlash about name being insulting to First Nations culture. The public outcry received massive media coverage across the Ottawa region and not just in the sports sections. The story was covered by news and business journalists on TV, radio and online as well as in newspapers. Twitter and Facebook lit up with comments and criticism and this in turn became a news story covered by the mainstream media.Ottawa Mayor Jim Watson weighed in saying that he had suggested Bytown should consult with First Nations groups prior to the launch. More media coverage resulted. The mis-step on the name could have sunk the franchise before it even got started, but In terms of creating awareness, the aborted launch couldn’t have been more successful. They’ve tried to keep excitement with the new name and this time social media was used to consult with the fans. Skyhawks was chosen by the team’s Facebook fans who voted on final selection. Two Aboriginal chiefs, Chief Kirby Whiteduck of the Algonquins of Pikwakanagan and Chief Gilbert Whiteduck of the Kitigan Zibi were invited to the relaunch to give their blessing to the new Skyhawks name. So the Bytown team had both the social media and First Nations communities onside this time around. There’s been great media coverage of the launch of the new name and social media chatter is positive. Fan excitement for basketball seems to be building. One team; two launches; double the publicity both on and off the sports pages. The city is certainly aware that Ottawa has a new basketball franchise. And, Bytown gets a second chance at making the new franchise a success. Click here to learn how Thornley Fallis can help you manage your organization’s reputation and build your public profile.